Lanquais (Lenicassium or Lino Cassium) owes its name to the oak and chestnut forests which covered the area during the Gallo-Roman era, and the unearthing of many Stone Age tools indicate that man’s presence in the area goes as far back as prehistoric times. Lanquais’ notoriety has made it the setting of many legends: St Avit was supposed to have been born there in the fifth century and St Front more recently. 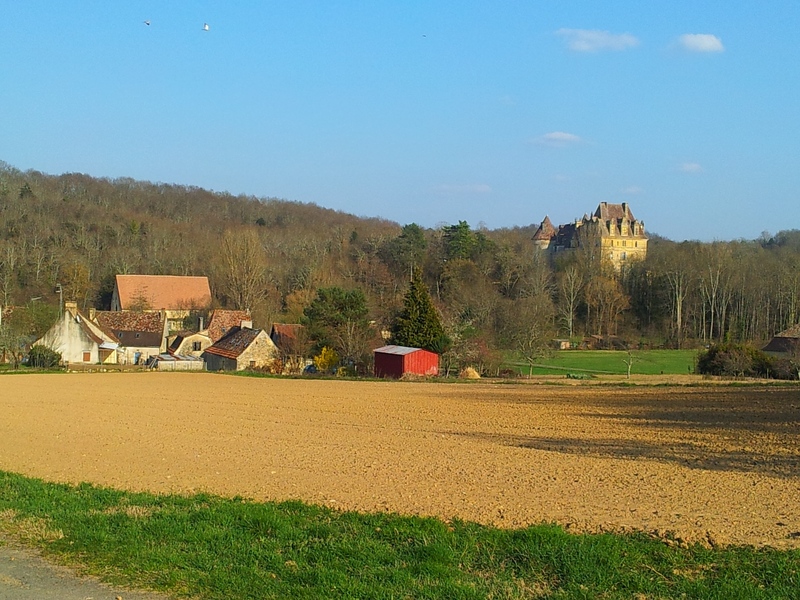 Lanquais is a remarkable and extremely attractive village with a chateau, many beautiful old houses, a fifteenth-century tithe barn, a majestic Renaissance house and a second chateau (chateau de la Roque) on the banks of the Couseau. 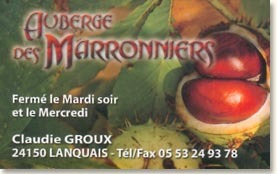 Lanquais has facilities for tennis, swimming, great country walks, an épicerie and La Auberge des Marroniers, a great place to eat.